Host Food Review 2019: Is Host Food a Good Hosting? 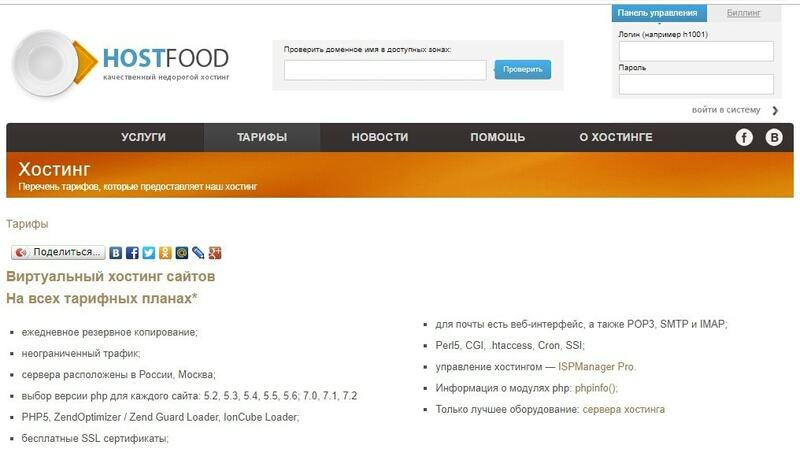 Host Food is an internet company with head offices in Saratov, Russia. The vendor offers cheap hosting solutions to its local and international customers. Among other services, the vendor offers dedicated servers, VPS/VDS, and shared web hosting solutions. 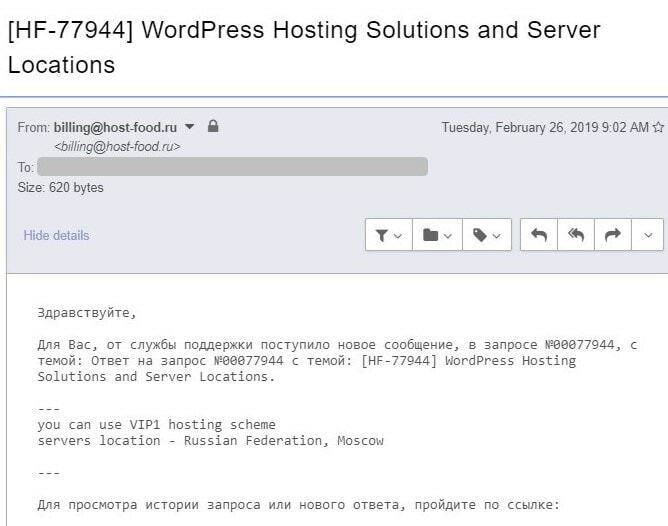 Host Food is a web hosting company based in Saratov, Russia. The hosting provider markets itself as a low-priced hosting vendor. Its hosting solutions are backed by a state-of-the-art data center in Moscow. It offers shared web hosting, VPS/VDS, and dedicated server solutions targeting businesses in Russia and beyond. 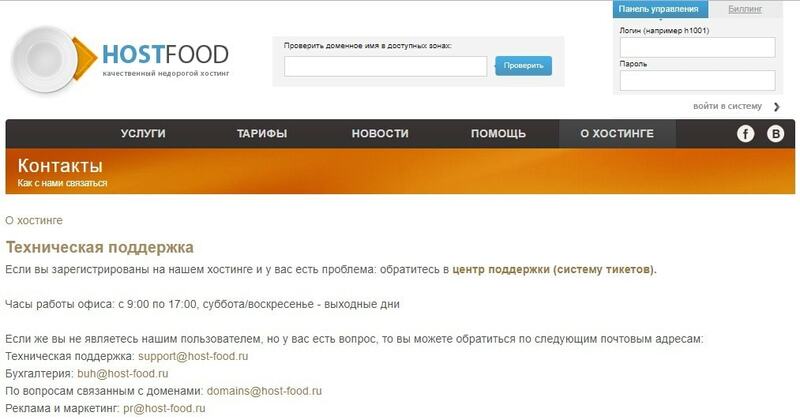 The Host Food website is only available in Russian. Host Food uses rack servers hosted on SuperMicro/HP Proliant platforms with embedded IP-KVM. In addition, the server network connectivity is powered by Juniper and Cisco equipment for super-fast internet connections. The dedicated servers come with ISPManager free control panel, 1000Mbps ports, and one expandable IP address. Furthermore, Host Food servers come with several pre-installed OS platforms. Users can choose from FreeBSD, CentOS, Debian, Ubuntu, and Windows operating systems. This vendor’s shared hosting package is divided into eight hosting plans including, Micro, Mini, Economy, Standard, Optimum, The pros, Mega, and Ultra. Micro is the starter shared hosting plan and comes with disk space of 50MB, one MySQL database, and supports one domain name. Ultra is the premium shared hosting plan and includes 20GB disk space, 35 MySQL databases, and 35 domain names. Host Food’s servers are equipped with 100GB storage for backups. The vendor performs daily and nightly backups on all its customer accounts. What’s more, the backup copies are created in geographically remote servers and then stored for a period of one year. This is precautionary making sure that in the event of a disaster, clients can access and restore their accounts. Host Food hosting plans are relatively low-priced. The vendor has also included somewhat attractive discounts of up to 20%. The prices are listed in Russian ruble and they come with flexible billing cycles including one-month, three-month, six-month, one-year, and two-year subscriptions. The vendor mentioned a money-back guarantee on its website, but does not include information about the time period of this refund policy. I suppose you have to contact them for that. However, Host Food has a trial package where customers get 14 days of free hosting. The hosting firm also offers a 99% network uptime guarantee. You can contact the Host Food technical support team via telephone, email, and ticketing system. However, the vendor has not provided any live chat support. The technical support team is available round the clock and has a relatively fast response time. I sent the vendor a support email and got a response within less than 12 hours. The Host Food website also has a knowledge base but it has very few articles and tutorials. Whether you want a hosting vendor for shared hosting, VPS/VDS, or dedicated server solutions, Host Food appears to have what it takes to deliver to your expectations or beyond. The Russian hosting company leverages its state-of-the-art data center and its professional support team to market itself in the Russian web hosting industry. Wondering how Host Food stacks up against other Web Hosting companies? Enter any other Web Hosting company and we will give you a side-by-side comparison.